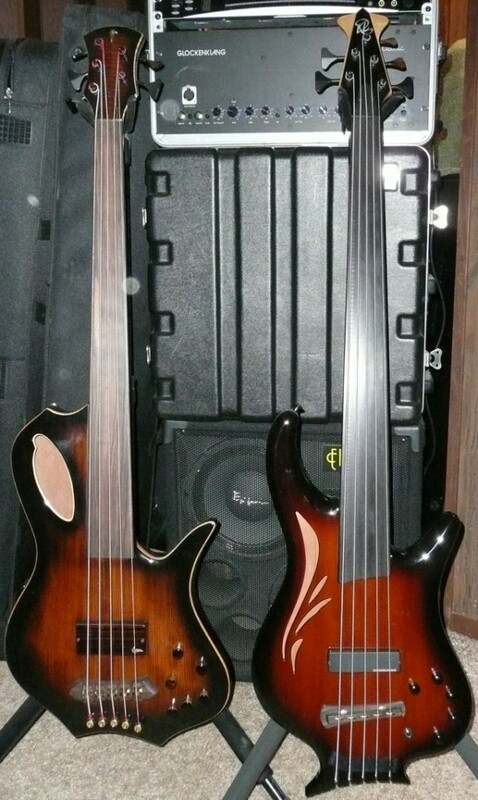 Two Birds of feather, both basses semi acoustic fretless bass guitars. Both are 35″ scale. One magnetic and one piezo pickup. Mahogany bodies.